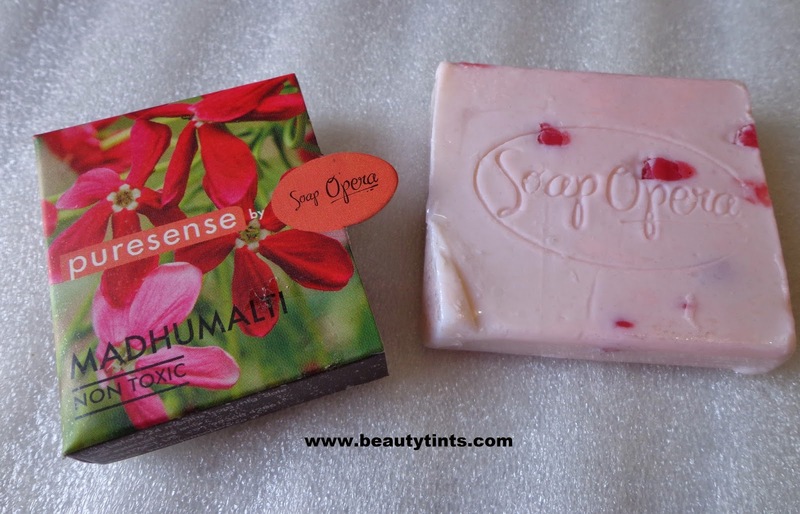 Today I am reviewing Puresense By Soap Opera Madhumalti Soap,which is from their floral range.I have reviewed Royal Apple soap from the fruity range and Spearmint soap from spicy range before. 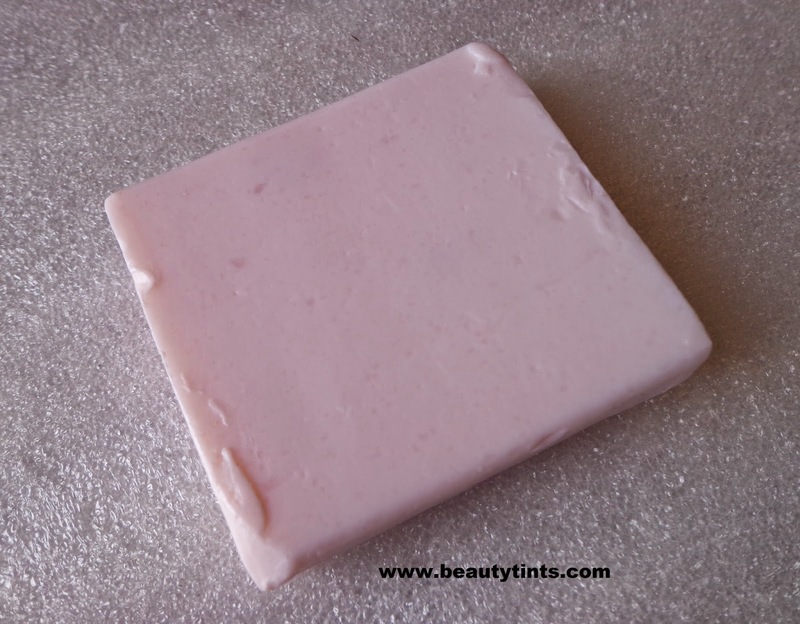 Color and Texture : This is a pale pink colored smooth soap with dark pink colored chunks embedded in it. 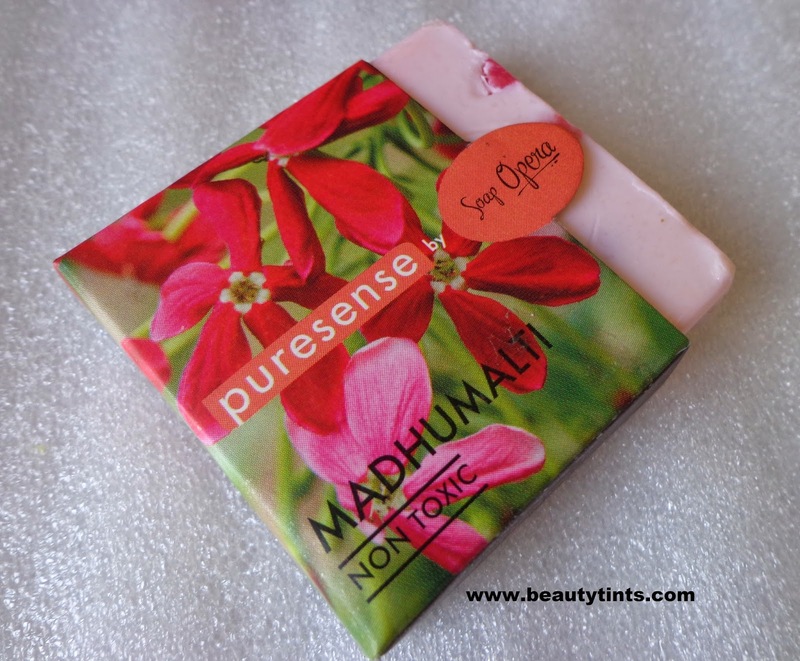 What the product Claims : Infused with the goodness of Madhumalti flower and Oilve oil, the Puresense Madhumalti soap relieves stress & relaxes the body. 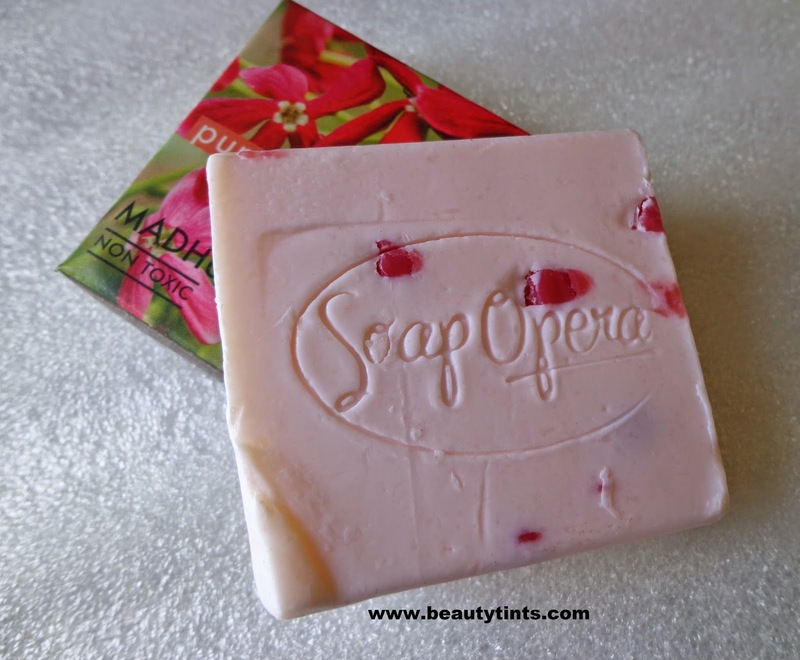 This exotic soap bar is free of sulphates, parabens, formaldehydes and is non-carcinogenic. 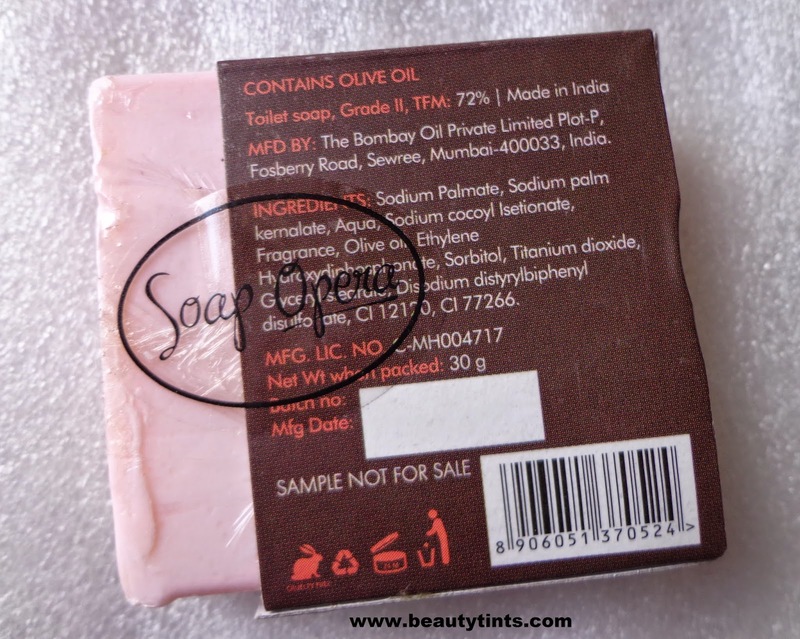 My Views On the Product : It is a 30 gm sample which lasts only for 1-2 weeks.It comes in a cute packaging similar to the full sized product.The soap has the imprint of the Soap Opera name on it.This Madhumalti soap has a rich floral fragrance,which is so fresh.It lathers well and cleanses the skin with out drying.The fragrance stays for only for some time.The soap comes in a girly pink color.It does not melt easily and retains its shape till the end.It is paraben free and against animal testing.It costs only INR 85 for 100 gm which is very affordable when compared to other handmade soaps. 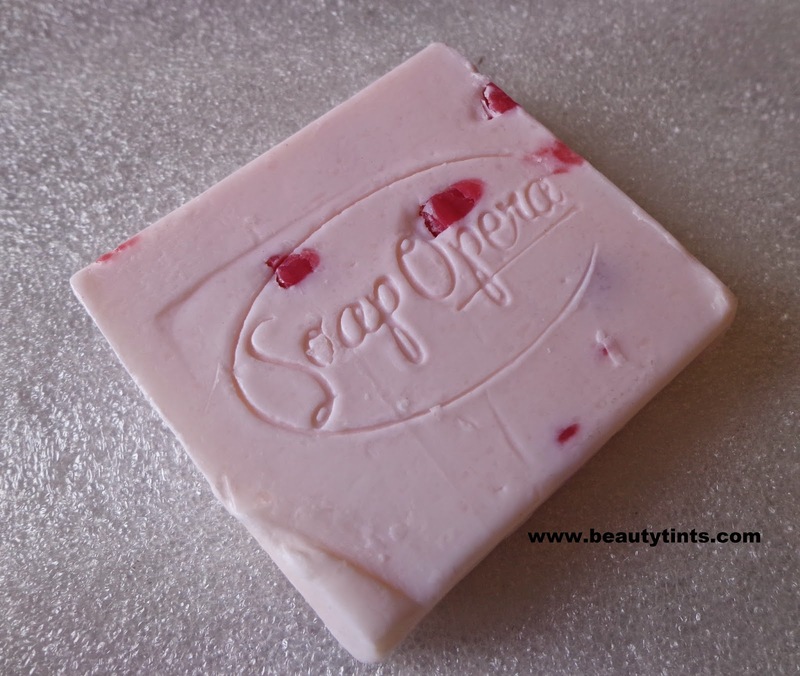 Also check out the Royal Apple Soap,Spearmint soap and Pure sense Sleep Inducer reviews here. Final Conclusion about Pure Sense by Soap Opera Madhumalti Soap :Those who adore floral fragrance will surely love each and every bit of it. 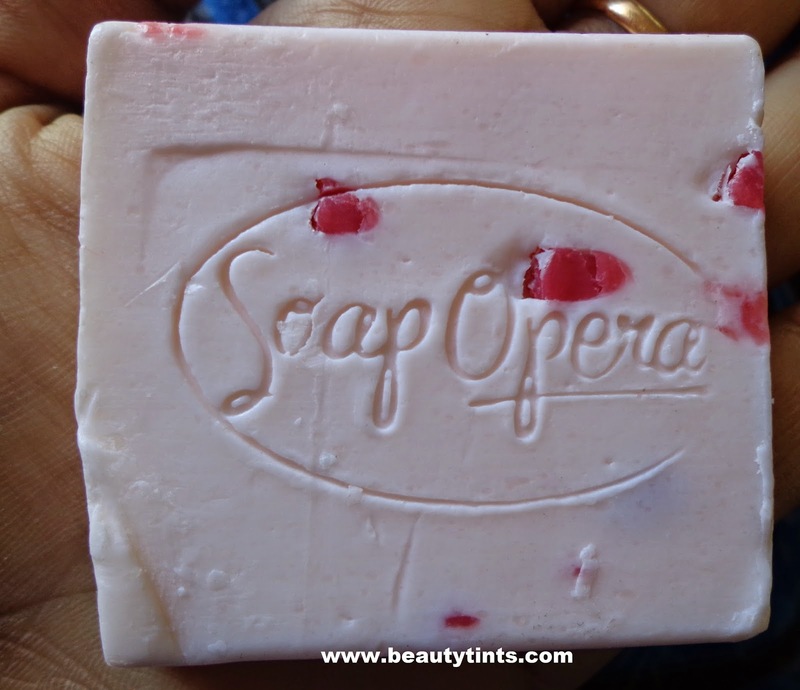 A great soap at an super affordable price. Have you participated in the New Year giveaway?? ?If not participate here.